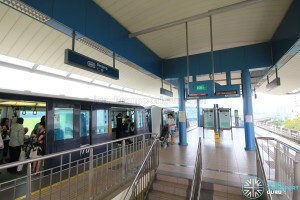 Renjong LRT Station (SW8) is a light rail station along the Sengkang LRT (SKLRT)’s West Loop. 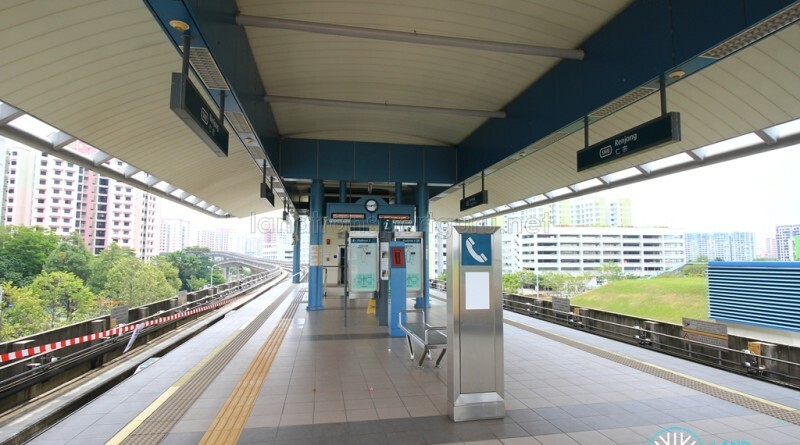 Located within the Sengkang New Town, the station is overground and built along Sengkang East Avenue, near the junction of Sengkang East Road. 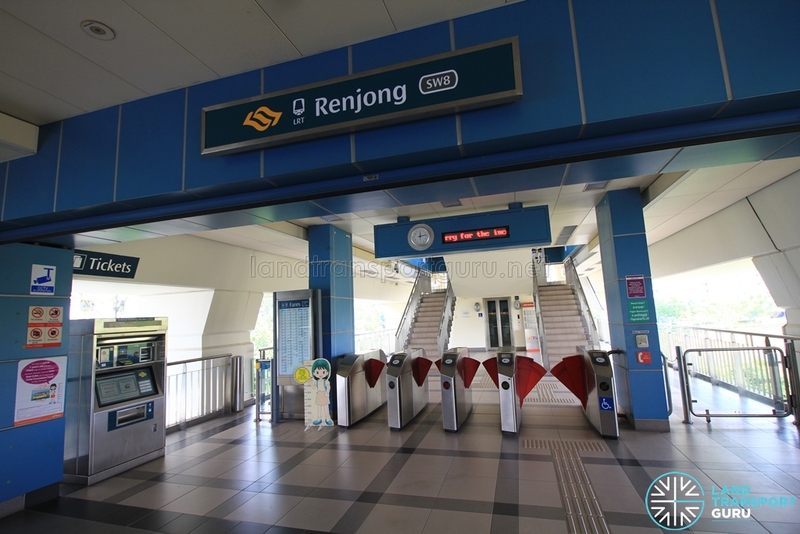 Renjong means “tall’ or “to raise” in Malay, and the station is situated near the former Lorong Renjong. It serves nearby schools, HDB flats, and Sengkang Train Depot. 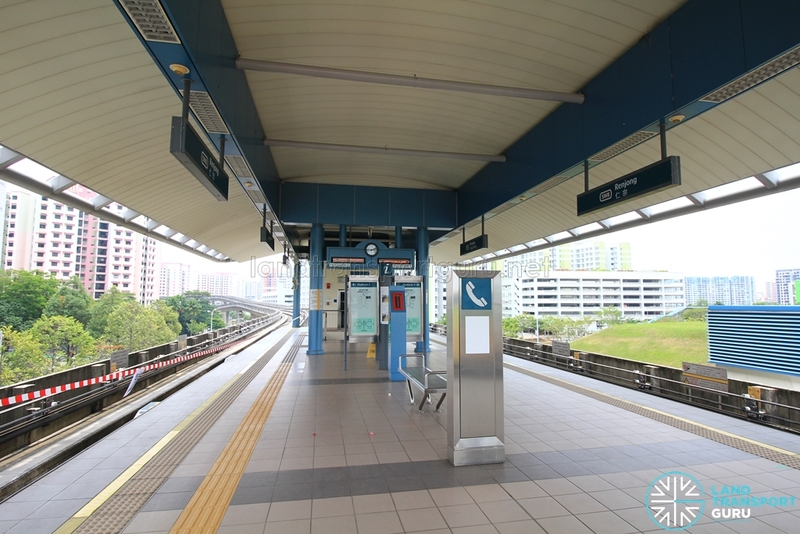 Renjong station is overground with an island platform serving LRT services in both directions of the West Loop. Outer and Inner loop services run clockwise and counter-clockwise around the loop respectively. 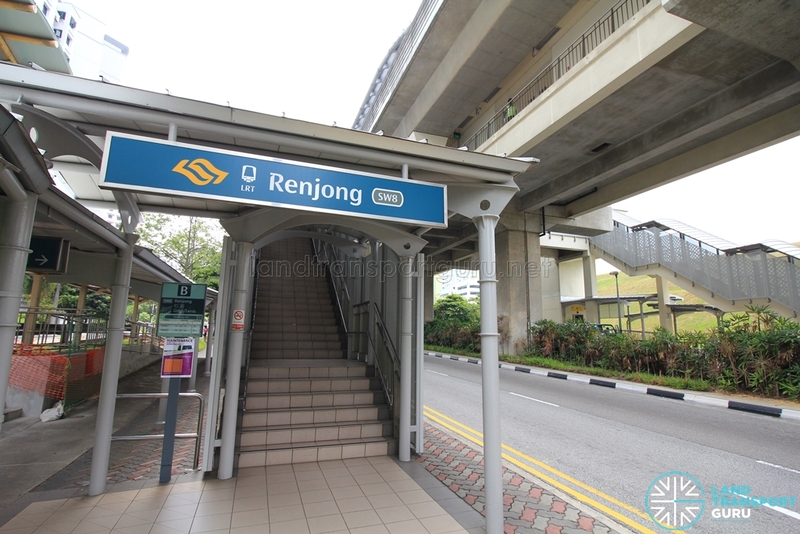 Built in-between two carriageways of Sengkang East Avenue, Renjong LRT station has an exit on each side of the road. Barrier-free accessibility is offered via lifts. Renjong station connects to two bus stops in the vicinity. Bus stops near LRT stations are not numbered. Renjong station opened on 29 January 2005 along with train services on the Sengkang LRT West Loop.